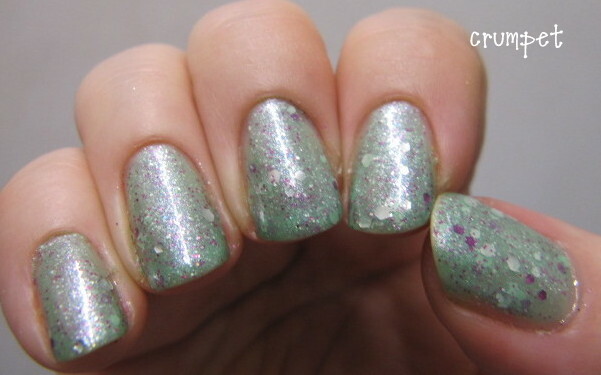 With the ridiculously exciting news that NerdLacquer is almost back, back, BACK! and ready to re-open her shop, it seemed like a good time to pull this baby out of the vault. Truth be told, I don't own this baby anymore (yup, the green didn't like me), but there's no denying how pretty this baby is, and also how far ahead of the trend she was. 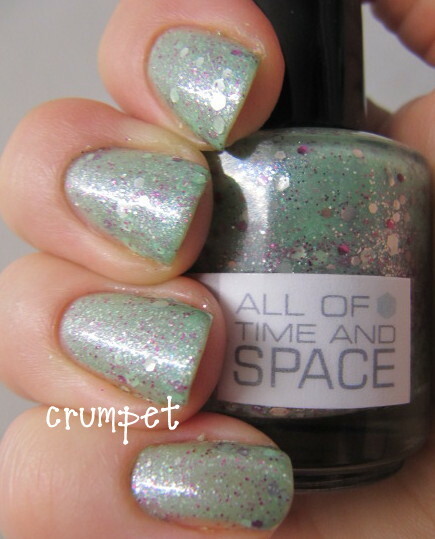 This polish was bought almost exactly a year ago, and what I love about it is the stark contrast of the icy green and the hothouse fuschia. Fast forward a year, and what are all the new indie sellers peddling? Pastels with fuschia pops. 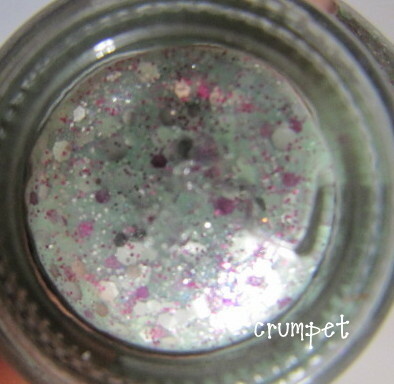 THAT'S why NerdLacquer was so special : visionary. Amanda's recent post sounds like she is getting her life back in order, although not without difficulty, and life had again dealt her a fiendish card, but she has made a plan to deal with it. I was asked today whether I believed her "disappearance". My answer was - and always has been - 100% yes. I know it's ridiculous, but I believed in her, and like so many others, I am beyond glad to see her back. I have no idea whether her shop will reopen with oldies, newies or who-knows-whatties. All I know is she is almost back, and that alone is reason to celebrate.